Lakefront in the exclusive 1780 -- one of the last remaining lakefront lots in the Crescent community! This 3.4+ acre lot already holds a graciously appointed cottage & separate garage with guest suite, 3-slip boat dock, private beach, and stunning mountain views. 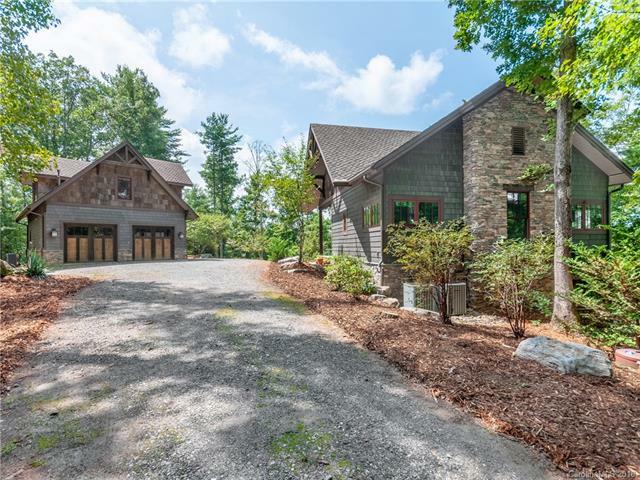 Build your dream estate (site plan and elevations available) and use the cottage & guest suite for a truly magical grand retreat on Lake James. Membership to Camp Lake James included -- enjoy swim, tennis, fitness, kayaking, outdoor & social events. Entertain in your large open kitchen, spend summer on the boat, have a bonfire on your private beach, & wake up to the reflection of the mountains dancing over pristine Lake James. Curly hard maple floors, Maax jetted tub with shower combo, custom cabinetry throughout, heated workshop/bath in garage for convenience after a day of tubing, and thoughtful, custom touches throughout (seller even thought to get large septic for future build - buyer to confirm) make lake life a breeze.